Users of nine Verizon smartphones can download and use the Skype Mobile application starting on Thursday, the operator announced at CTIA on Tuesday. 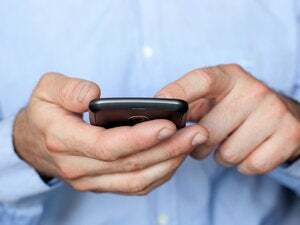 The application, which the companies first revealed in February, offers users free calls and instant messaging to Skype users but has some limitations. To start using the free application, Verizon Android customers can download it from the Marketplace. Existing BlackBerry users will see a Skype icon on the phone screen starting on Thursday. For new BlackBerry customers, they'll find the application in the download folder on the home screen of the phone. Existing customers can also text the word Skype to 2255 and when the application is available Verizon will send a link to download it in a text message. They can also visit www.skype.com/go/mobile to download it. Verizon plans to make the offering "ubiquitous" and is working on making the application compatible with additional operating systems, said John Harrobin, senior voice president of digital media and marketing at Verizon. "We'll prioritize where we'll make the most bang for the buck," he said. Users don't need to sign in and out of the application to use it, rather they can leave it running in the background, he said. That means that a user's Skype contacts can see their status before trying to call them. It also means that people can expect to be able to receive Skype calls any time. Users can merge their phone contacts into Skype Mobile, where they can manage all their contacts in one place, Harrobin said. That could be helpful for users who upgrade their phones since, assuming they have Skype Mobile on their new phone, they won't have to otherwise transfer their contacts. Verizon announced in February that it would offer the application. "A month ago at Barcelona we wowed the mobile industry by announcing this partnership with Verizon. It seemed improbable at best to many in the industry. Why in the world would a carrier want to partner with Skype," said Russ Shaw, general manager of Mobile for Skype, at Tuesday's press conference. While on the face of it the announcement was a surprise, since most operators would consider Skype a competitive threat to their money- making voice services, it soon became clear why Verizon's Skype offering wasn't much competition. Skype Mobile on Verizon does not use Verizon's data network. Instead, it routes calls over the operator's voice network, just like any other call. That's likely one reason that Verizon is requiring Skype Mobile users to also subscribe to both its voice and data plans. Also, Skype calls to landline and mobile phones will cost the same as any other call on Verizon's network. "We purposely made the decision to route it over traditional circuit switched because that's what the network was designed for -- it was designed for voice. It's efficient and we have the capacity," Harrobin said. On computers, Skype uses VOIP to send calls over data networks. Probably because Verizon is still requiring users to pay for a monthly voice service plan, it isn't worried about losing money because of the free Skype calls. The company could lose some long distance revenue, Harrobin said, but he expects that to be made up by attracting new customers eager to use the Skype service to make free international calls. Users can't do videoconferences or use the Skype service over Wi-Fi. Harrobin hinted that the company hopes to add features to Skype Mobile in the future.